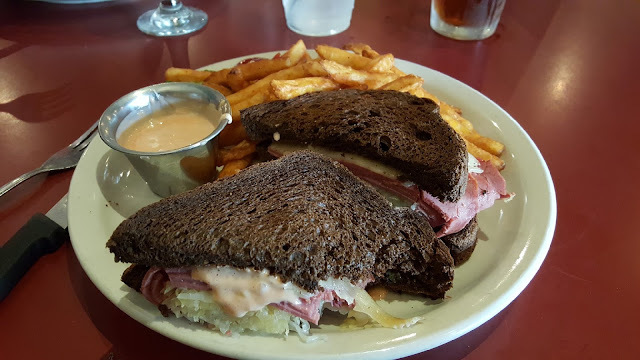 From San Antonio, we head north on Route 10(west)to Route 87 and Fredericksburg. 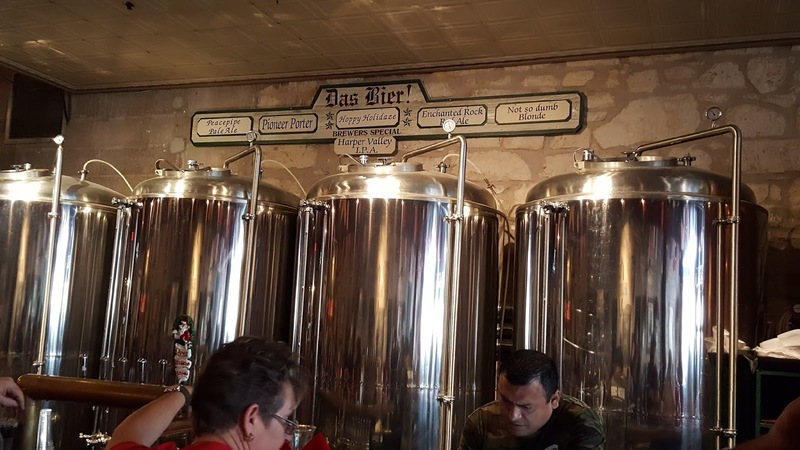 Always a nice stop with a fairly short walk from Fredericksburg RV Park to the Main Street. 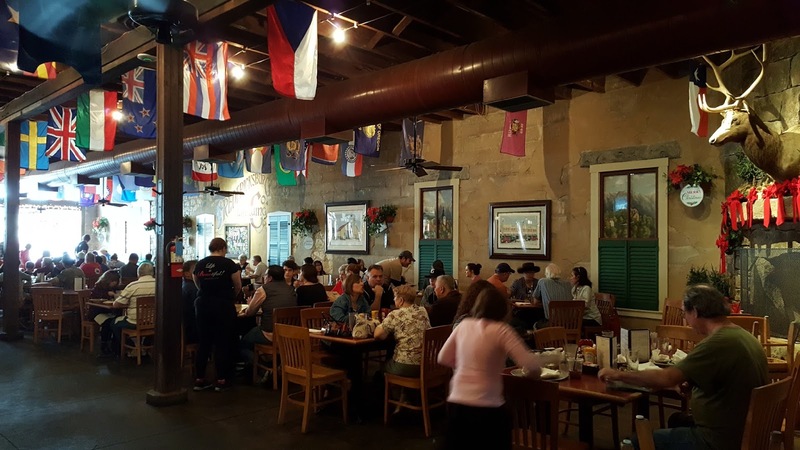 For those who are used to traffic jams around Boston and other large cities, San Antonio was an easy exit on Route 10. Sometimes up to 6 lanes heading north. The picture above is from inside the Fredericksburg Brewing Company. 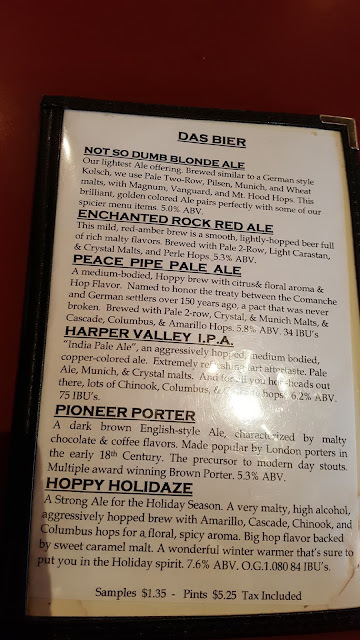 Kinda like the name of "Not So Dumb Blonde Ale", but I decided to try the "Enchanted Rock Red Ale"
The centerpiece was their Reuben sandwich with home made fries. 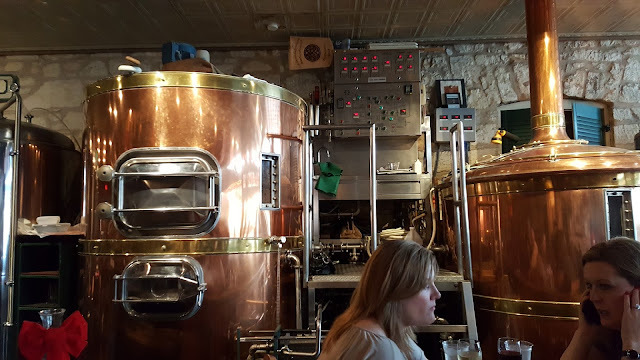 The brewing takes place right in the restaurant and on the floor above. The oldest brewpub in Texas. From Fredericksburg we headed west on route 290 through the Hill Country to Route 10 and South Llano State Park. South Llano is one of our favorites with lots of hiking trails, well separated sites, and wildlife. 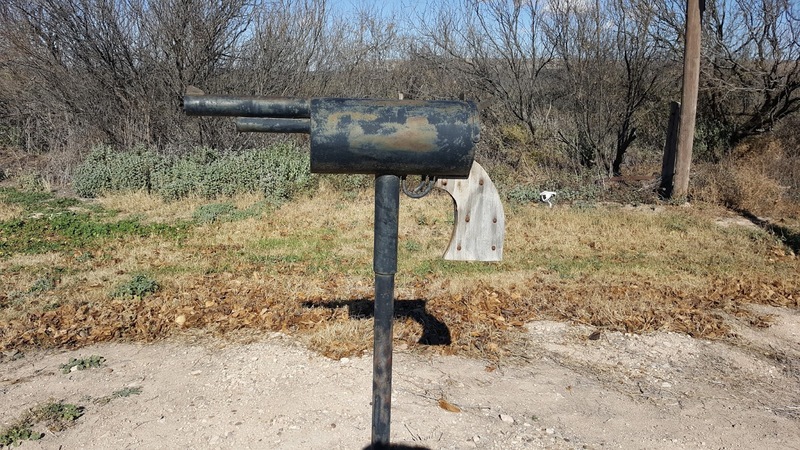 Once you reach West Texas, the towns become few and far between. Beyond there we have found Fort Stockton RV Park to be a very nice, well maintained park right off Route 10. If it was a long day on the road, they also have a small dining room that serves dinner as well as breakfast the next morning. 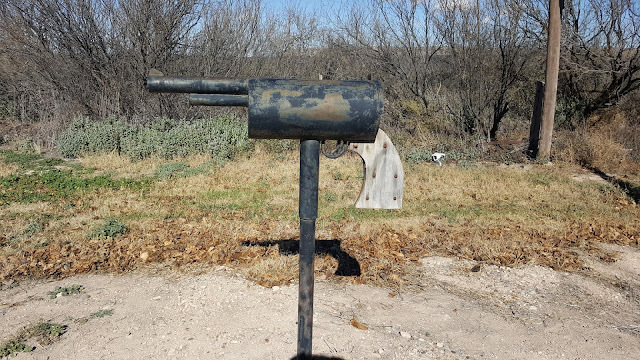 The item above is a Texas mailbox. 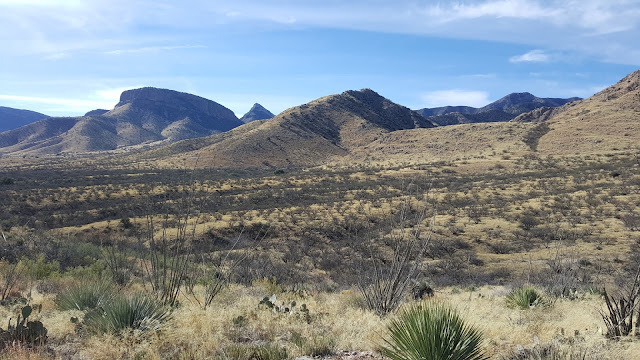 Davis Mountains State park which we had to miss last year. We followed Route 10 to Balmorhea and then south on Route 17. On site, within walking distance from the campground is the Indian Lodge. 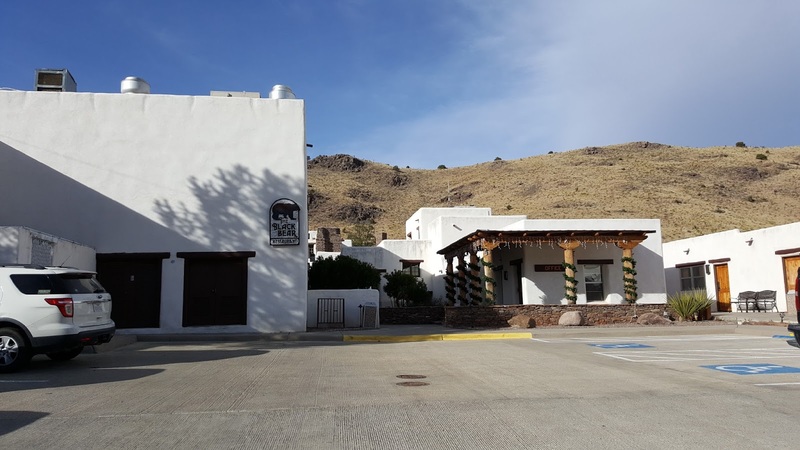 A beautiful adobe lodge, also built by the CCC and refurbished recently , including a full restaurant. 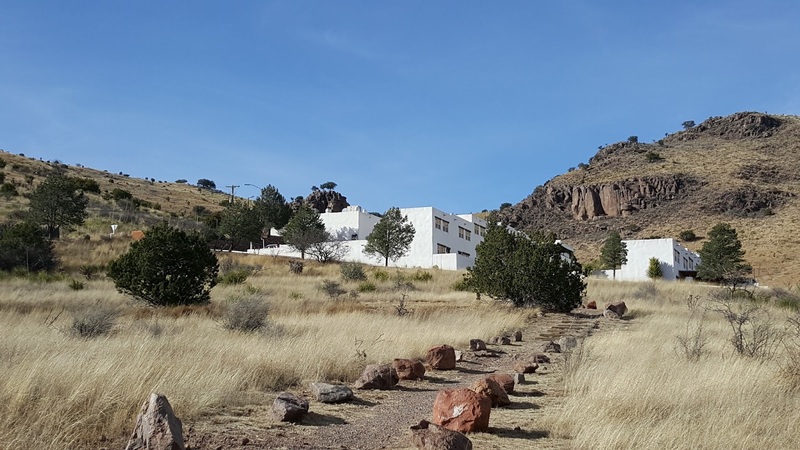 Nearby is a scenic loop road that will also take you to the McDonald Observatory, a part of the University of Texas at Austin, which offers many programs for stargazing and more. From Davis Mountains we took a different route, heading south on Route 17 to Marfa and the west on Route 90 back to Route 10. There is no easy way around El Paso, so we take a deep breath and hold tight to the wheel(narrow lanes in spots). 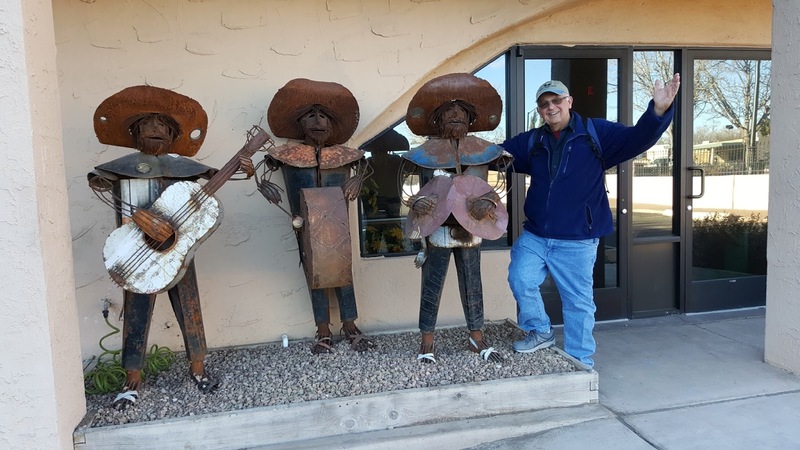 But, sure enough, we come out on the west side, into Las Cruces , New Mexico to Hacienda RV Park , from which we love to walk into the old town of Mesilla. Richard Spellenburg who happened to be tending the store that day. 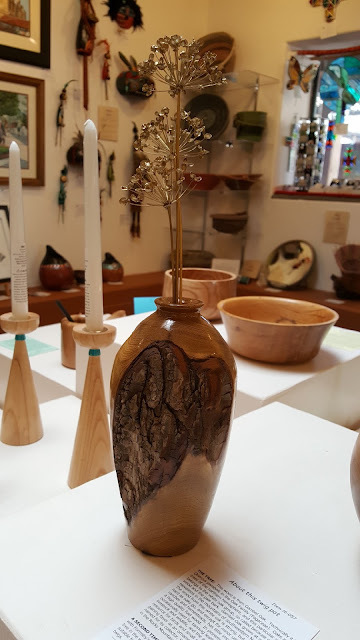 He is a retired Botany professor who enjoys working with special found wood pieces like these. 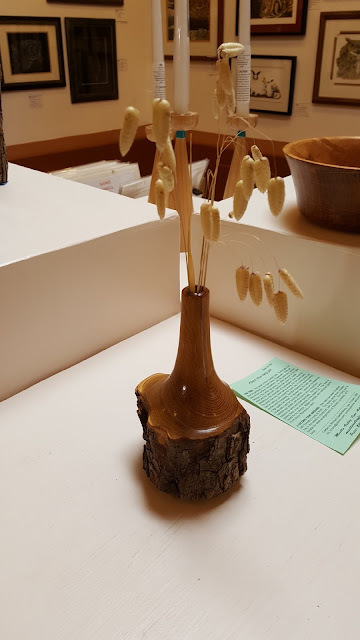 They are from a gambel oak that had fallen nearby. The finish is Formsby's Tung Oil Finish. Thought that Gary, Dave, and others might enjoy that information. Mr. Spellenburg and his wife will be traveling to Maine this summer to research a botany book he will publish soon. 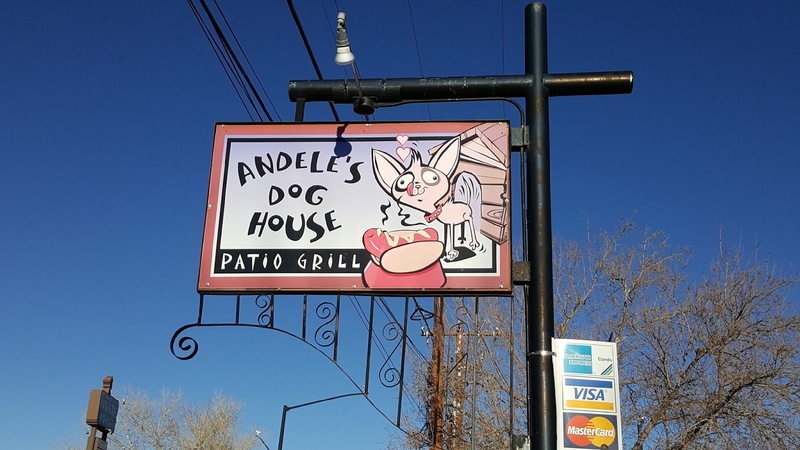 On the walk back to our campground, we stop at Andele's Dog House. A comfy small restaurant with a fireplace and a great Mexican menu. We skipped the hot dog varieties and had Flautas and Pork Tacos. Wonderful!! Grandpa was joining in with the local metal Mariachi band. They did agree he had the required tin ear. 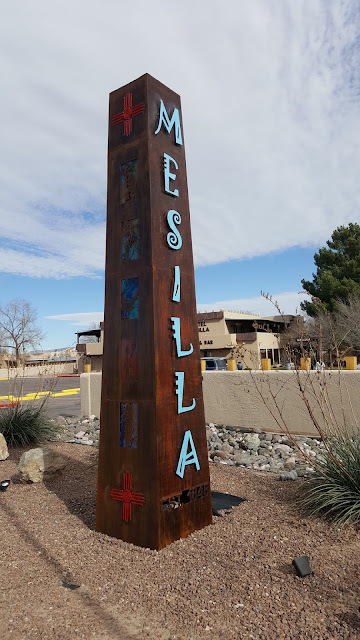 From Mesilla, it is a short drive on Route 10 to Deming, New Mexico. But, you always want to watch the weather. The dust storms can pop up quickly, especially in the afternoons. We were lucky and the winds were quiet. We first check Rockhound State Park, another one of our favorites. Even though it is a weekend, we find a dry camping spot. Perfect! The views go on forever. Is that why Jan is smiling? Taking a closer look at thorns , like those on a Mesquite tree. Well---if you brush up against these, you will know! And this is a "fish hook" barrel cactus. Lot and lots of fish hooks! One of the most common cactus is Prickly Pear. Still, they can be fussy about where they will grow. Some places have tons of Prickly Pear and then around the corner---none. Again--do not want to mess with those spines. Actually, the Prickly Pear doesn't usually grow this way. Rabbits, can you imagine, and other animals like Javelina like to eat the Prickly Pear. Not sure how they avoid the thorns. This one looks pretty quiet. They may be short, but they will dig in like crazy. They do add color to a photo! Just above the Prickly Pear, you can see Lady Blue! Even Lady Blue loves a sunset at Rockhound State Park! 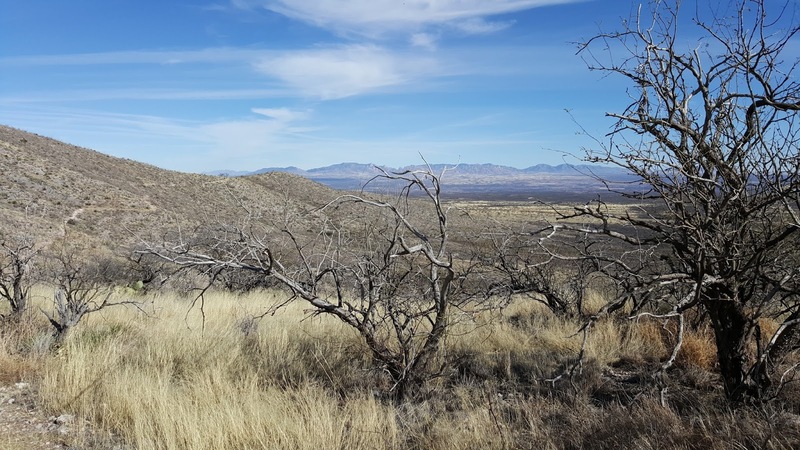 From Rockhound, we head west again on Route 10 to Route 70 in Lordsburg. 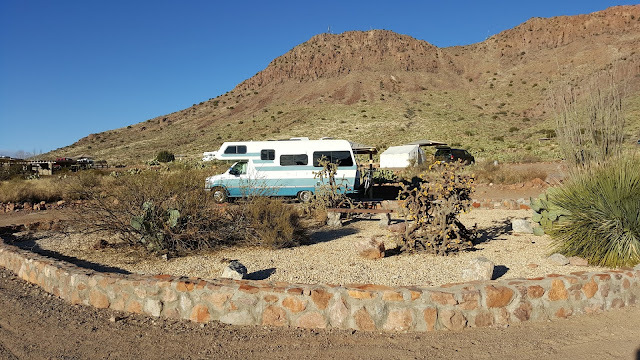 From there it moves to Duncan in Arizona and then Safford, where we head down Route 191to Roper State Park. Starting on Route 10. the road is very desolate, no houses or businesses for miles. 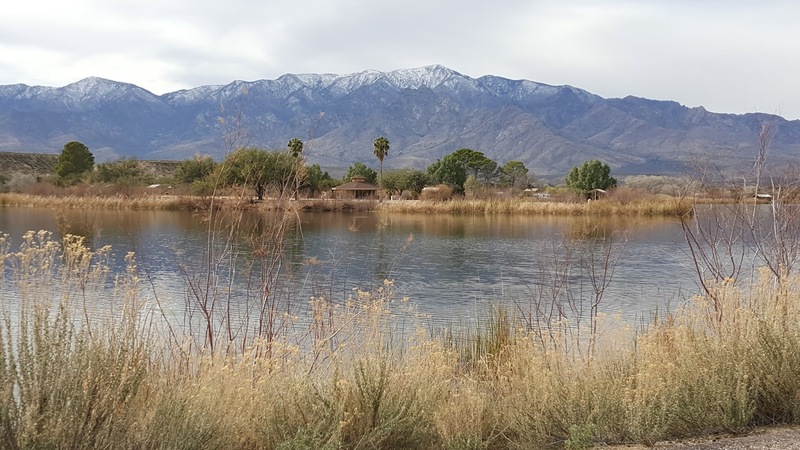 But , once in Safford, there are towns, trees, and beautiful mountain views. From our dry camping site, we see Mt. Graham , about 10, 730 feet----with snow!! Our campsite area is across Roper Lake, which is quite small by normal standards. The park, campground, and area are quite relaxing. We could have stayed here longer. 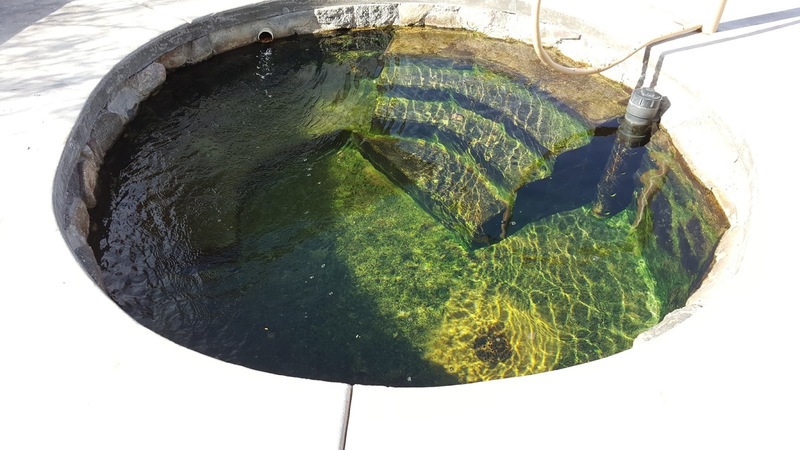 The park even has a natural thermal hot tub. The 1,100 gallon tub was constructed in the 1970's. 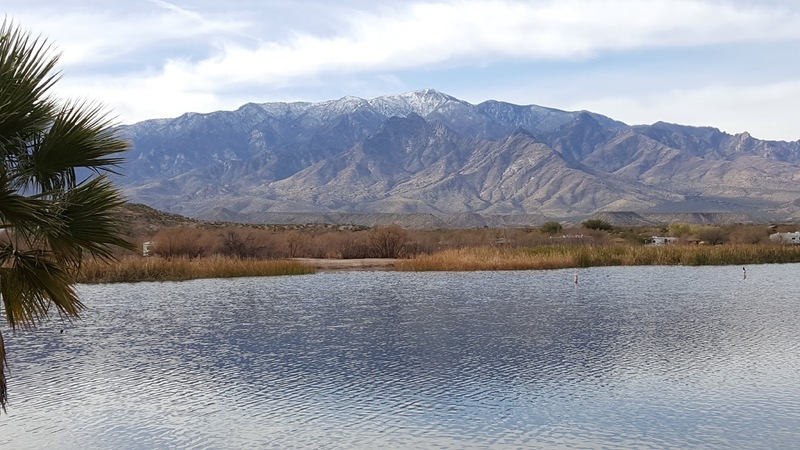 It is a natural water source, and the temperature stays at 97 degrees always. A number of campers were using this while we were here,even though the air was somewhat cool. Views are great in every direction. 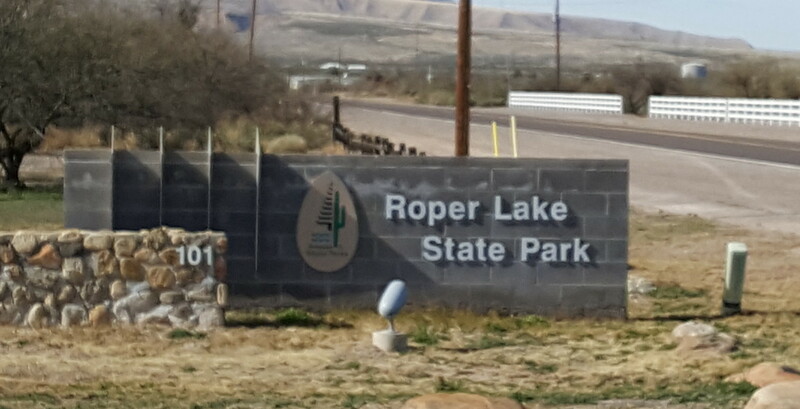 This link will have a number of pictures from Roper Lake. Yes, the cabins are there and quite popular too! Could you spend some time here? But, we move on. 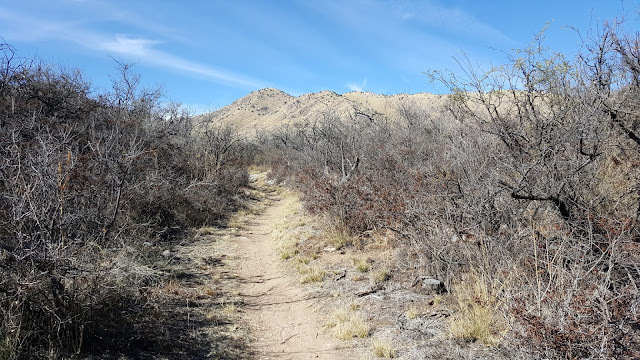 Following Route 191 south to Route 10 in Willcox and then west to Benson, Arizona. 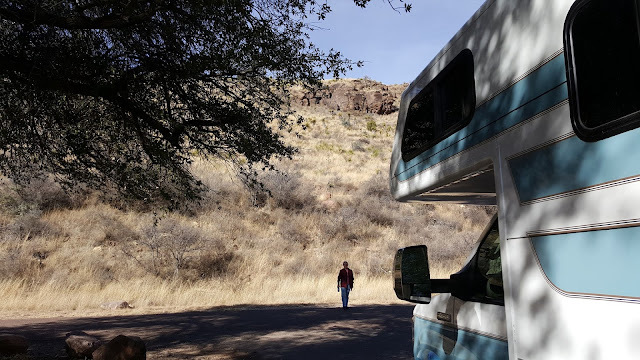 Some quick resupplying and we head south on Route 90 for 8 miles to Kartchner Caverns State Park. Such a nice campground. Lot of space between sites, great views, good hiking, and a USA TODAY readers choice number one cavern to visit. A view from our hike below the Whetstone Mountains. 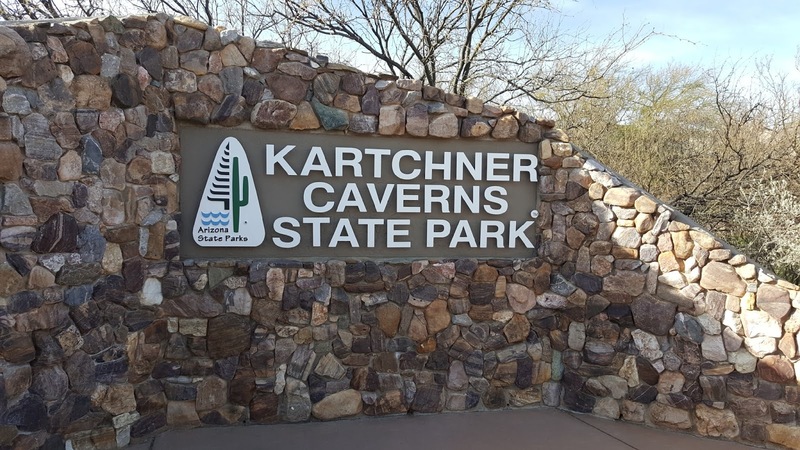 here is some information on the park Kartchner info. Looking northeast from the high point of our hike. So many ancient sites in Arizona. This is a bedrock mortar. 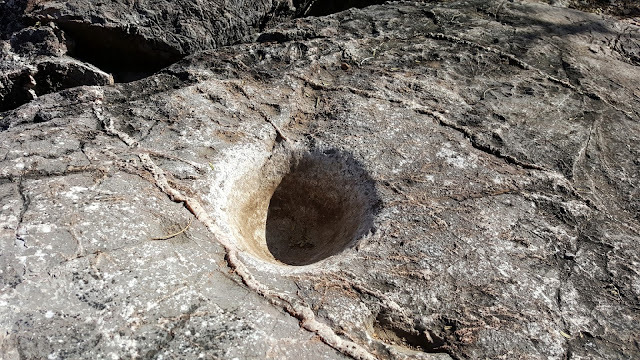 It was probably used for grinding mesquite bean or other plant foods with another smaller rock. The sites were inhabited from 4800B.C. to 1300A.D. There were beautiful sunsets at Katchner. But, this picture is from Roper Lake.